A man has been jailed today for defrauding children, dance schools and potential sponsors by claiming he could arrange for young dancers to take part in the closing ceremony of the Olympic Games. 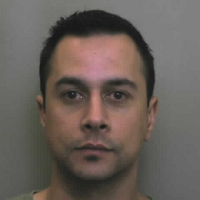 Stephen Moonesamy, 35 (29.09.76), of Lowlands Close, Northampton, pleaded guilty to eight counts of fraud by false representation at Northampton Crown Court on 28 June. He was sentenced on Tuesday, 17 July, to two years imprisonment. On 1 May, officers from the Metropolitan Police’s Operation Podium, supported by Northamptonshire Police, started an investigation into a fraudulent offer to dance schools in the Northamptonshire area for their pupils to participate in the London 2012 closing ceremony. On 4 May, Moonesamy was arrested. A 31-year-old woman was also arrested, but has since been released without further action. Moonesamy approached three dance schools in the guise of ‘The Red, White and Blue Project’, claiming that he was recruiting young people, between the ages of 9 and 18 years, to dance at the closing ceremony. He went on to hold a presentation at the Holiday Inn hotel in Northampton on 11 March, where he described in great detail the event that the dancers would experience, including details of costumes, travel arrangements and the proposed security plan. Detective Superintendent Nick Downing, of Operation Podium, said: “Stephen Moonesamy is an individual who callously deceived around 75 youngsters from the Northampton dance community, promising them a place performing at the closing ceremony of the Olympic Games. We are still are unclear what his ultimate motive was, as the financial gain was minimal.